World Cup Series Enoshima, día 2. En clase 49er, buena remontada de los hermanos Lange. With 35 Olympic medallists and numerous World Champions racing at World Cup Series Enoshima, familiar rivalries have resumed in Japan on the waters of the Tokyo 2020 Olympic Sailing Competition. 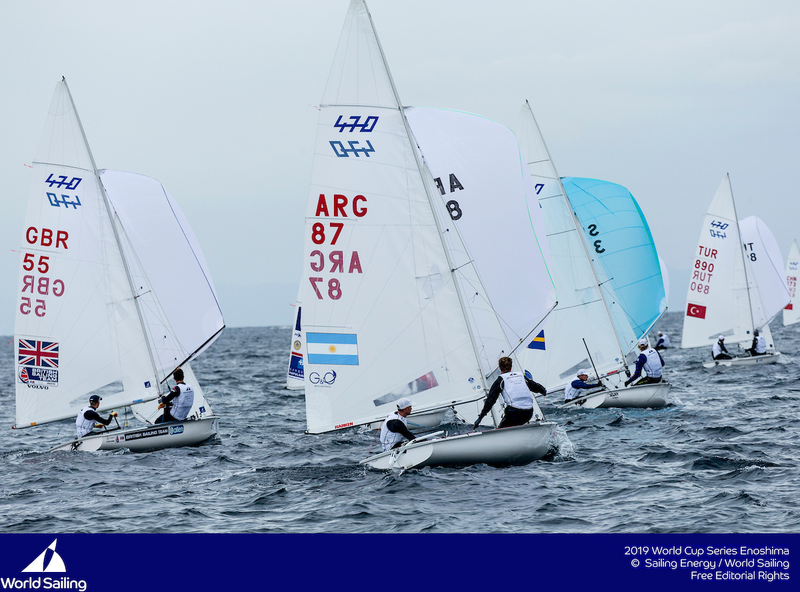 Conditions across the opening two days of competition have been ideal for the 466 sailors from 44 nations. A north easterly breeze ranging from 12-17 knots has been present across the six racing areas on Sagami Bay with a reasonably flat sea state. Battles from previous World Cups and World Championships have already emerged – and a familiar duo are going head-to-head at the top of the 49erFX fleet. Martine Grael and Kahena Kunze (BRA) beat Alex Maloney and Molly Meech (NZL) to gold by two seconds at the Rio 2016 Olympic Games, and the duel emerging on Tokyo’s Olympic waters is not too dissimilar. The teams occupy first and second in the 49erFX, with Grael and Kunze reasserting themselves as one of the world’s leading teams despite spending limited time in the boat. Grael took some time out of Olympic campaigning to sail in the Volvo Ocean Race and is in only her second 49erFX event in the space of 14 months. Nonetheless, the Brazilians have climbed to the top of the 24-boat fleet, winning three of six races so far, and have a 12-point advantage over the Kiwis. “It’s good to have them [Grael and Kunze] back in the fleet and I think it just lifts the standard of racing,” commented Maloney. “They’re sailing well and it’s just great to having them out on the race course again. “It’s so up and down in the fleet. 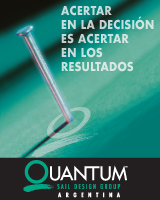 No matter who you are out there with, you have to be pushing it and making the right decisions. The Brazilians and Kiwis were training partners in the lead up to Rio 2016, so they remain friends ashore – but that changes on the water. Two more days of fleet racing remain ahead of Saturday’s Medal Races and the fight will continue on Thursday. Charlotte Dobson and Saskia Tidey (GBR) occupy the final podium spot at the mid-point of the 49erFX competition. A British battle is ongoing in the 49er, as James Peters and Fynn Sterritt (GBR) trade blows with Dylan-Fletcher Scott and Stu Bithell (GBR). Although Fletcher-Scott and Bithell have finished ahead of their compatriots in four of six races, it’s Peters and Sterritt’s consistency that gives them a two-point advantage after six races. Logan Dunning Beck and Oscar Gunn (NZL) sit in third. Just three points separate Alison Young (GBR), Marit Bouwmeester (NED), Josefin Olsson (SWE) and Sarah Douglas (CAN) at the top in the Laser Radial. To see Young, Bouwmeester and Olsson at the top of the pack in a World Cup event is not uncommon; however, Douglas has emerged over recent weeks as a top contender. 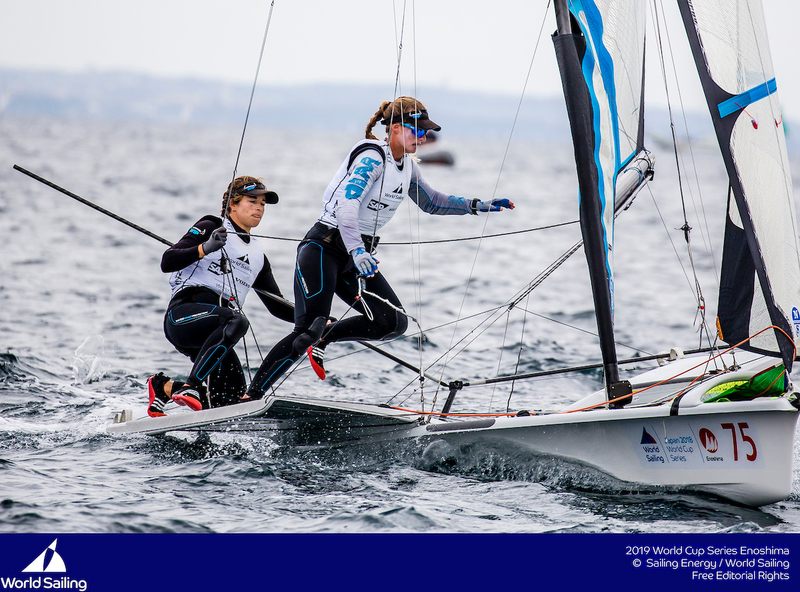 Prior to Enoshima, the Canadian’s best World Cup result was a 36th in Hyéres in April, but at the Hempel Sailing World Championships Aarhus 2018 she hit all the right notes, finishing sixth to qualify her country for Tokyo 2020. She’s brought that form into Enoshima and is firmly in the hunt. 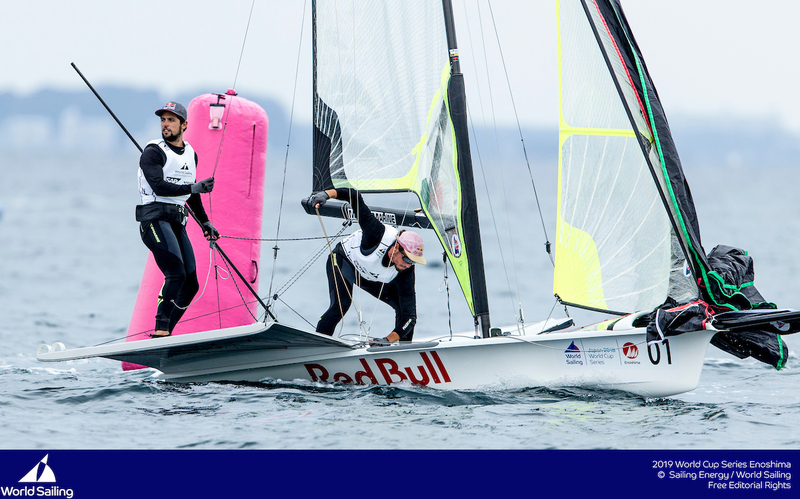 Great Britain continue to stay ahead in the Laser, but a new leader has emerged; Elliot Hanson (GBR) has pulled one point clear of Michael Beckett (GBR). Matt Wearn (AUS) is in third but, much like the day prior, the competitors struggled to find consistency. With a first and eighth today, Tonci Stipanovic is the only sailor to pick up less than ten points in a day. 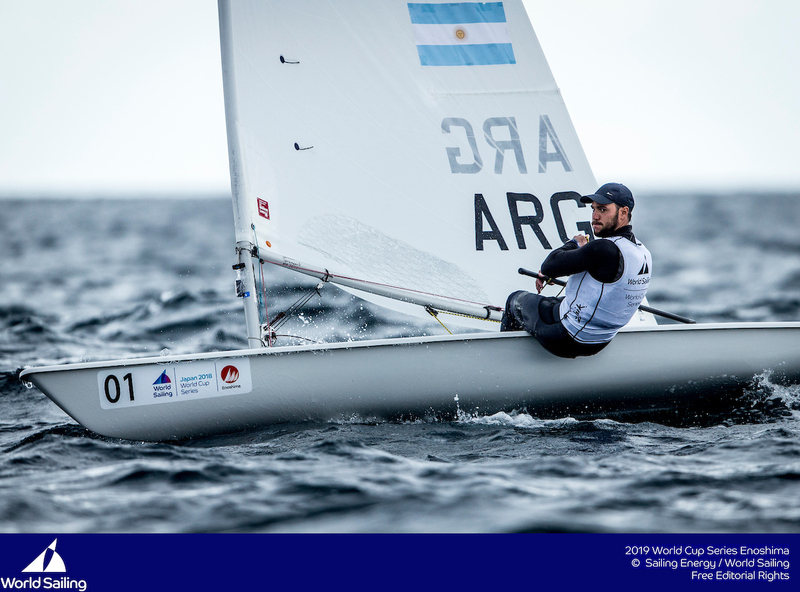 Elsewhere, Jorge Zarif (BRA) struck back at Giles Scott (GBR) in the Finn to draw level at the top of the leaderboard. Zarif notched up a third and a race win to Scott’s second and sixth, which positions them on nine points apiece. Josh Junior follows in third and the day’s other race winner, Nicholas Heiner (NED), is fourth. 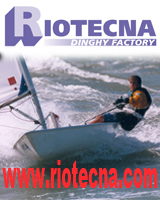 The Japanese Men’s 470 teams continue to assert themselves on their home waters. Keiju Okada and Jumpei Hokazono (JPN) had a superb day, securing a first and a second to solidify their overnight advantage over Mat Belcher and Will Ryan (AUS). The Australians picked up the day’s other race win. Tetsuya Isozaki and Akira Takayanagi (JPN) had a mixed day but occupy third overall, with compatriots Daichi Takayama and Kimihiko Imamura two points behind. Ai Kondo Yoshida and Miho Yoshioka, 2018 World Champions, are also in strong contention in the Women’s 470. A second and an 11th puts them in third, five points off new leaders Afrodite Zegers and Anneloes van Veen (NED). Agnieszka Skrzypulec and Jolanta Ogar (POL) are second overall following a race win and an eighth. The 2017 RS:X World Championships were held out of Enoshima one year ago and the Women’s RS:X podium was dominated by Chinese racers who had mastered the conditions. That trend has crossed into the World Cup Series as the 2017 Worlds bronze medallist Yunxiu Lu grabbed pole position, with gold medallist Peina Chen (CHN) in second. 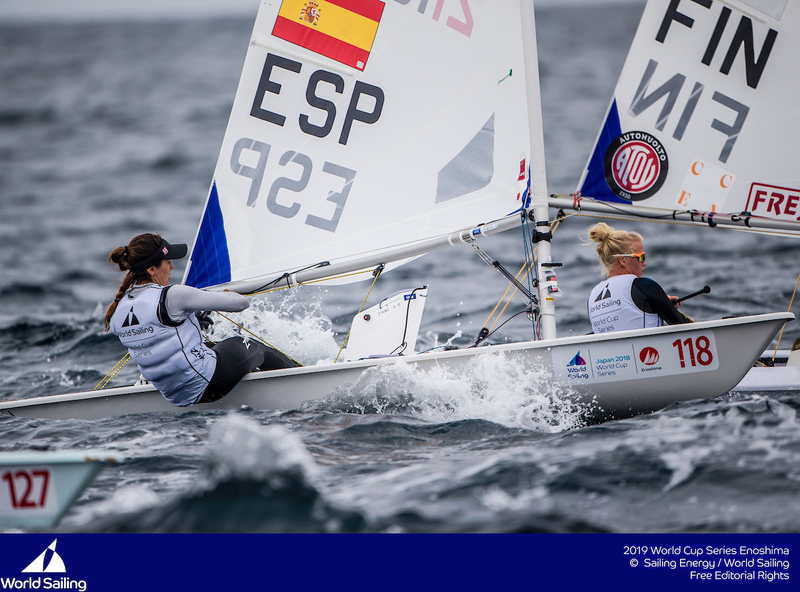 Lu and Chen stayed at the front of the fleet for most of the day, and have put some daylight between themselves and Emma Wilson (GBR) in third. Mattia Camboni (ITA) had a bright start to the competition, winning two of three races on day one, but he could not replicate that form on day two. A 34th, which he discards, as well as a tenth and a 7th sees him slip to second overall. Kiran Badloe (NED) advanced to first after a 2-4-(11) scoreline, while his compatriot Dorian van Rijsselberghe is four points off in third. Ruggero Tita and Caterina Banti (ITA) added a further two races wins to their three victories from Tuesday, but they dropped to 12th in the sixth race of the series. Nevertheless, they lead compatriots Vittorio Bissaro and Maelle Frascari (ITA) by 11 points. Nathan Outteridge and Haylee Outteridge (AUS) took the final race win of the day and are fourth. Racing continues at 12:00 local time on Thursday 13 September.